When should my child first see the orthodontist? The American Association of Orthodontists recommends that a child gets his or her first orthodontist checkup by age seven. Some orthodontists begin treatment much sooner than that. We do not. Why? Because years of research and experience show that most children gain nothing by beginning treatment before second grade. Rarely, a family dentist or physician recommends that we see a younger child in order to assess them. Usually, parents that bring their young kids to us for an evaluation often sigh with relief to hear that treatment can wait for a while. If you feel unsure about your own child, please contact us for more information! Can we put off treating our child? We cannot make your decisions, but we strongly recommend you never put off treatment if your child needs it. In doing so, you’ll take a chance of your young one needing extractions or surgery later in life to completely fix their smile. For best results, we recommend that your child has a full evaluation by their 7th birthday. We offer the initial consultation for free, as it is crucial to get expert advice about treatment needs, options, and timing before making this important investment. Request An Appointment Today! Will my child still be able enjoy the foods and activities they love? 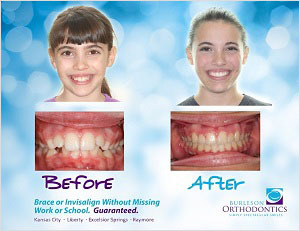 We have a variety of braces to recommend that will fit your child’s lifestyle. Some are removable and some stay fixed in place. If you choose fixed braces for a child who plays sports, they will need a mouth guard to protect their new smile. Kids who play wind instruments usually adjust to braces quickly and easily. A child who wears fixed braces will need to avoid hard and sticky foods and cut fruits and veggies into sticks and wedges. Bear in mind that we have a variety of treatment options, including virtually invisible braces! Will other school kids make fun of my child? Braces have become a way of life for so many, that most children now view them as a rite of passage on their way to teen years. 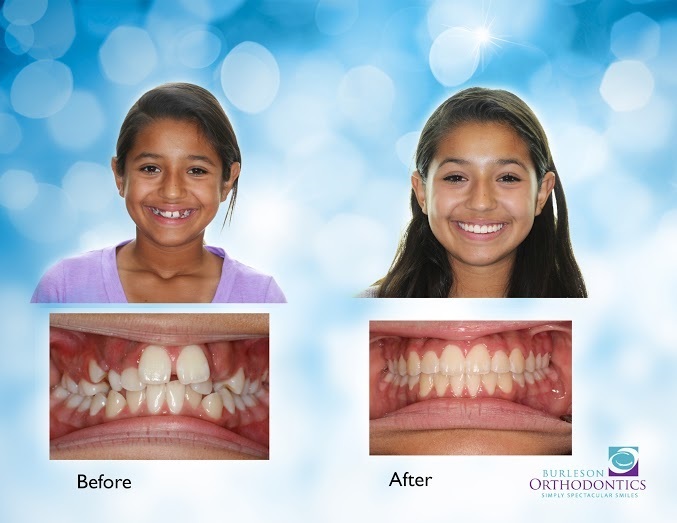 Many kids actually think braces are “cool.” Please check out these video testimonials to hear what our young patients have to say! 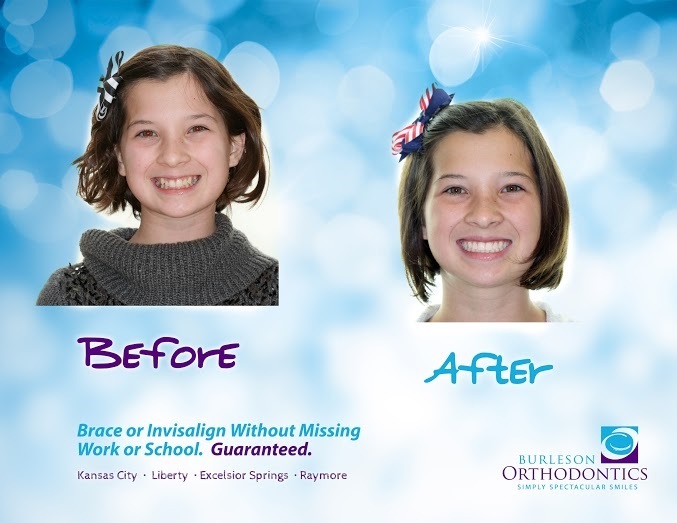 To learn more about ways our friendly Burleson orthodontists can help give your child the smile they’ve been dreaming of, call us at 816.759.0123 to set up an appointment, request an appointment online, or simply reach out via our online contact form. 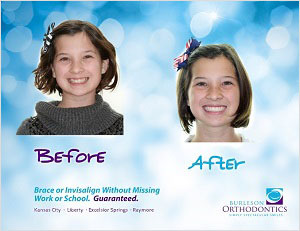 At Burleson Orthodontics, we offer a variety of treatment options for straight teeth in our Kansas City, Liberty, Raymore and Excelsior Springs, MO, orthodontic offices. How long will I need to wear braces? Our short answer is, “it depends.” Most people wear braces for 1-2 years. After you get them off, we fit you with a special retainer that you wear to ensure you keep your best smile. I heard there are things I can’t eat with braces on. Is that right? This really depends on the brand and style of braces you get. You may need to avoid hard and sticky foods so that your braces don’t get damaged. Keep eating your fruits and veggies! Just cut carrots, apples, and similar foods into strips or wedges. With some styles of braces, you’ll never need to worry about how to eat the foods you enjoy! Mainly, you won’t feel pain at your appointments. After we adjust your braces, your mouth may feel a little sore – usually just for the next 4 or 5 days. The treatments and care we provide help to reduce any pain to a minimum. 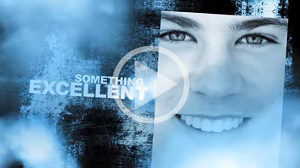 Check out these video testimonials from young adults just like you, describing what it felt like for them. Will my new smile make me happy? We can never promise you happiness, but we know this… Every person we’ve ever taken braces off of has ended up smiling from ear to ear. Some of them shout out with joy and give us a hug. Most of them can’t wait to show their friends. Take a look at these amazing, real-life before and after images and decide for yourself. To learn more about ways our friendly Burleson orthodontists can help give you the smile you’ve been dreaming of, give our office a call at 816.759.0123 to set up an appointment, request an appointment online, or simply reach out via our online contact form. 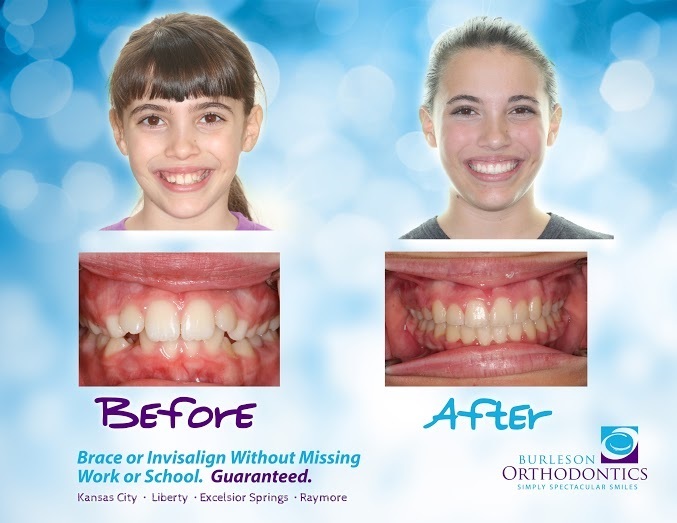 At Burleson Orthodontics, we offer a variety of treatment options for straight teeth in our Kansas City, Liberty, Raymore and Excelsior Springs, MO orthodontic offices. When should my child first see an orthodontist? Do adults ever get orthodontic treatment? How will I know if my child needs braces? What kinds of benefits will my child experience? How long will my child need treatment? What should we expect on the first visit? Do braces really come in different shapes and sizes? How long will it take to apply my child’s braces? Does it hurt to have braces? How do I make a saltwater rinse? Will my child need to do anything special during the first week or so? Will my child need to brush more with braces? How do I brush my teeth with braces? Can my child still play sports? Will braces interfere with playing brass or wind instruments? Should my child stop chewing gum? What foods should my child avoid? What happens if a bracket comes off? What happens if a bracket or tie breaks on my braces? If my child’s braces require rubber bands, do they have to wear them? Will my child need to wear a retainer? Should my child see a regular dentist, too? What type of emergencies or injuries can occur with braces? Orthodontics is a specialized branch of dentistry that diagnoses, prevents and treats dental and facial issues, such as “crooked” teeth and jaws that don’t meet properly. We are specially trained dentists who take several extra years of training in order to “straighten teeth,” usually by placing braces in a patient’s mouth. You might say we specialize in smiles. The American Association of Orthodontists recommends that a child gets his or her first orthodontist checkup by age seven unless a physician or family dentist notices a good reason to come for evaluation sooner. Only an orthodontist is qualified to let you know for sure. We suggest hearing that from the happy kids who see us for treatment by watching the videos below. How long will my child need treatment for? This really depends on the seriousness of their issue and the types of braces you choose for them. A happy medium is 1-2 years. We suggest you keep all appointments and make sure that your child brushes and flosses properly. Doing these things regularly and well can sometimes shorten treatment time. When you come in for a complimentary evaluation, we will determine with you the best course of treatment, and discuss insurance and costs. If you decide you’d like to move forward, we can take X-rays of your child’s mouth and make an appointment to begin creating that perfect smile. They do. In fact, some braces even make a fashion statement! We have choices to offer besides traditional metal braces: speed braces, clear braces – even “invisible” braces. 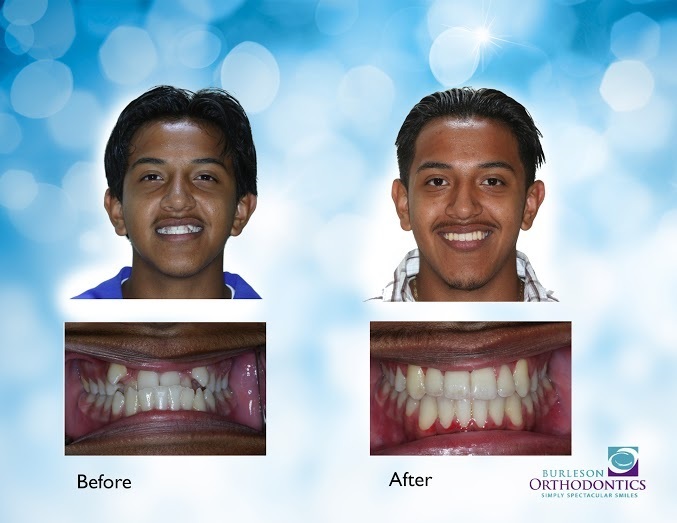 See our Orthodontic Treatment page for additional details. Different styles of treatments have different application processes. You can plan on around 50 minutes to an hour and a half. Today’s brackets and bands usually cause little to no discomfort. For the first two or three days after we put your child’s braces on or tighten them, their mouth may feel a little sore. Please give us a call right away if they feel chronic or lasting pain so that we can treat it quickly. Taking aspirin or ibuprofen about an hour before coming in to see us can also help keep soreness to a minimum. At first, they might. We will provide a soft piece of wax to cover a brace or wire that may be irritating your child’s mouth. You can also rinse their mouth with warm salt water to help the sores go away. How do I make a salt water rinse? To make a salt water rinse, mix ½ teaspoon of table salt in one cup of warm water. Stir until the salt is completely dissolved. Gently swish about ¼ of the cup in your mouth for 30 seconds. Make sure you force the water over the areas that feel sore. Then spit the water into the sink. Repeat until the entire cup is gone. Yes, we recommend that they eat soft foods only during that first week. Also, please encourage them to spend more time cleaning their teeth and braces. Because food gets trapped in braces and wires, taking care of teeth takes on added importance. Make sure your child brushes very well following every meal and flosses once a day. We may also recommend using a gel at bedtime. Now that you have braces, you must be sure to brush your teeth and gums better than ever before. Extra care must be taken in the area between the gums and your appliance. Food that collects around your braces and wires can cause swollen gums, permanent stains (decalcification or white spots), and cavities. Brush your teeth with a medium nylon toothbrush after you eat and before bed. Brush, rinse, and look; if you find any areas that are not clean, brush them again. Brush your gums as you brush your teeth (massages and stimulates). If no toothpaste is available, brush without. If you are unable to brush, rinse your mouth vigorously with water. Replace your old toothbrush when it gets worn out. It is absolutely essential that you continue regular visits to your family dentist for checkups and cleanings throughout your orthodontic treatment! Certainly! But you’ll need to make sure they wear an orthodontic mouth guard to protect their mouth and braces. Your child will still enjoy playing their instrument, but it may take a while to adjust at first. We provide them with a small lump of wax to cover their braces until they get accustomed to playing with them on. We strongly recommend they do because gum sticks to braces and can cause damage. In addition, sugary gum causes cavities. Some sugar-free gums may be okay. Ask us! They should stay away from hard, crunchy, gooey, or sticky foods that can cause braces to loosen, bend, or break off. You can cut most raw fruits and vegetables into wedges or sticks before they eat them. After your orthodontic appliance has been placed, the teeth will be tender to biting pressure for 5 to 10 days. Of course, this can vary with different patients. During this period of tenderness, softer foods are recommended, such as soups, macaroni, spaghetti, fish, eggs, yogurt, Jell-O, smoothies, etc. Tylenol or Advil will help relieve any discomfort. Warm salt-water rinses are also helpful. Use the soft white wax where it is needed. Ice, nuts, popcorn, peanut brittle, rock candy, apples & carrots (unless cut into pieces), corn on the cob, hard pretzels, hard rolls, bagels, hard tacos, corn chips. Jolly Ranches, caramels, bubble gum, taffy, suckers, Starburst candy, Dots/jelly candies. Pizza crust, crusty bread, beef jerky, gummy bears, avoid chewing on pens and pencils. Cake, ice cream, cookies, pie, candy, soda pop, drinks with sugar. You can take care of this problem yourself by cleaning around the loose bracket or removing it from the wire. Then call us to set up an appointment to attach another one. We put the bands in place to move your child’s teeth up and down, forward or backward. Not wearing them might add weeks or months to treatment time. Retainers keep your child’s teeth straight after their braces come off. If your child doesn’t wear one their teeth will move, and that could jeopardize the treatment. Absolutely! 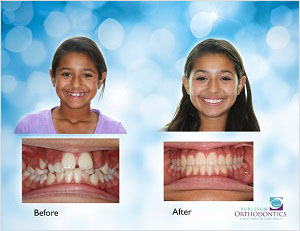 Cleanings and checkups matter a lot while a child wears braces. If your child has no pediatric dentist at this time, we can help. 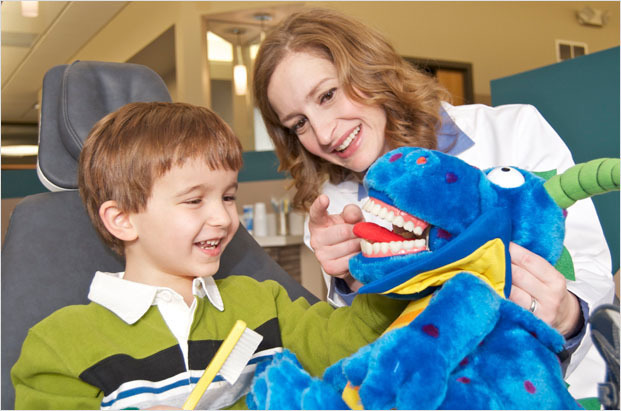 Doctor Amy loves kids and has special training and dental instruments to care for their little teeth and gums. While we recognize that orthodontic “emergencies” are not life-and-death situations, we also understand that situations may occur that cause discomfort. Perhaps a wire will break or you accidentally eat something that causes a problem. We have provided the information below to help you prevent those types of emergencies and also to answer some of the most common questions regarding these special situations. 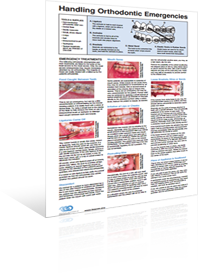 We invite you to download How To Handle Orthodontic Emergencies. If you are experiencing an orthodontic emergency that can’t wait for regular office hours, you may contact our on-call emergency staff at 816.759.0123. Please follow the prompts given by our automated attendant so that you can be directed to the emergency call center. Teeth, when moving, can be really tender for about a week after the initial placement of the orthodontic appliances and also after each adjustment. Discomfort can be relieved by over-the-counter pain relievers such as Tylenol or Motrin. Follow the dosage recommendations and any additional precautions as listed on the bottle. Some patients find it helpful to take the first dose at the appointment time to help prevent some of the discomforts to come when the teeth start to move. 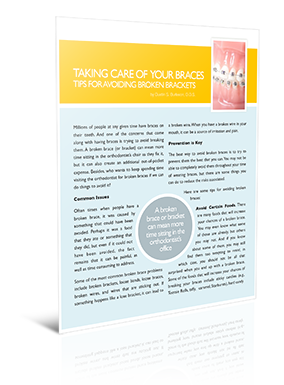 We invite you to download Taking Care Of Your Braces: Tips For Avoiding Broken Brackets. During the first two weeks, the inside of your cheeks will be tender because they are not used to the braces. As time goes by, the inside of the cheeks will toughen up and adjust to the braces. While the cheeks are still overly sensitive, using wax on the rough spots can be very helpful. Warm salt water rinses are also helpful, which soothe the cheek lining. Some inconveniences while going through treatment are normal. Many times repairs can be put off until your next regular appointment. Of course, we are here to serve you and encourage you to call any time you have a question.